Breast Cancer: Who Is At The Risk? HOW IS AN INCREASED RISK FOR BREAST CANCER INHERITED? BRCA1 and BRCA2 are genes involved in cell growth, cell division, and repair damage to DNA. DNA damage occurs when a spelling error is made in the gene sequence. A changed BRCA gene can cause DNA damage in cells to go unrepaired, which increases the chances of cancer. People with BRCA mutations thus may get cancer at an early age, they may develop breast cancer in both breasts, or they may develop more than one type of cancer, e.g., cancers of both the breast and the ovary. The most common type of cancer linked to BRCA1 and BRCA2 changes is breast cancer, but mutated forms of BRCA genes are linked to other cancers as well. WHAT ARE THE CHANCES OF INHERITING AN ALTERED BRCA1 OR BRCA2 GENE? Both men and women can pass down a BRCA mutation. All people, whether they have cancer or not, have two copies of both BRCA genes — one copy from each parent. There are 50% chances of inheriting either copy of each parent’s two BRCA gene. If a mutated or nonworking gene is inherited then there is an increased risk of cancer. Even only one altered BRCA gene is sufficient to increase risk for breast or ovarian cancer. ARE SOME PEOPLE MORE LIKELY THAN OTHERS TO HAVE A BRCAGENE MUTATION? Women with a mutation in the BRCA1 & 2 genes are at increased risk for cancer of the breast and ovary. These risks may vary. Women with an altered BRCA1 & 2 genes have a 50 to 85% risk of developing breast cancer by age 70. Risk for cancer of the ovary is 40 to 60% by age 85. A woman with cancer in one breast has a higher risk of developing cancer in the other breast. 25 to 30% of those with a BRCA1 change may get a second breast cancer within ten years after their first incidence of breast cancer. WHAT ARE THE POSSIBLE RISK AND BENEFITS OF BRCA1 AND BRCA2 TESTING? Anyone considering genetic testing should be aware of the possible benefits and risks. There are four possible benefits of testing for BRCA1 and BRCA2 mutations. First, the results may provide a better measure of the cancer risk. Second, the results allow clinicians tailor cancer screening as needed. Third, the results can help in choosing options for cancer-risk reduction, such as surgery. Finally, knowing the test results may benefit family members as well. While genetic testing poses no physical risk other than that of a blood draw, it may have an emotional impact. This is of special concern if a BRCA1 or BRCA2 mutation is found and may also have an impact on family members, some of whom may not want to know the results. 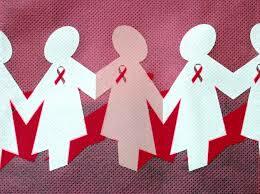 Genetic counselling can be offered for such individuals including the family members. WHAT FORMS OF CANCER SCREENING ARE AVAILABLE FOR A WOMAN WITH A MUTATED BRCA GENE? Women with BRCA changes should be sure to employ breast cancer screening, of which there are many different types. These include mammograms, MRI exams, ultrasound, breast examinations performed by a physician, and monthly breast self- examinations. Women with altered BRCA genes that are age 25 and older should receive regular mammograms. MRI scans may also be recommended as this test can find breast cancers not detected by mammograms or ultrasound.